The long and short of it is that Kyle and I are marine aquarium hobbyists. 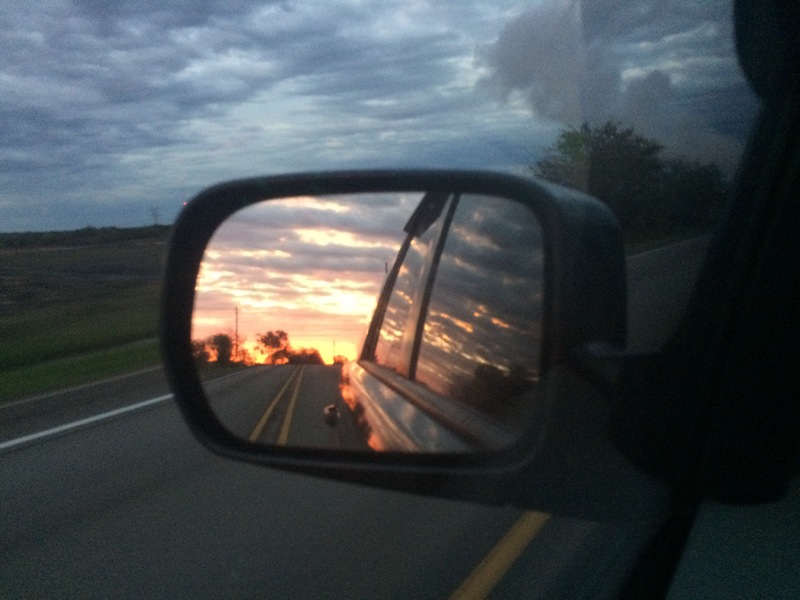 The beginning of this story starts on an ordinary Saturday during a trip to the store to buy food for our dog, Echo. Truthfully, we were only there to buy dog food but we ended up spending about two hours in the aquatics section of Petco, admiring the fish that they had in stock, mulling over instructional’s, and discussing the basiscs of a start up with one of the employees there. Our decision to start a saltwater aquarium happened rapidly and arguably impulsively. 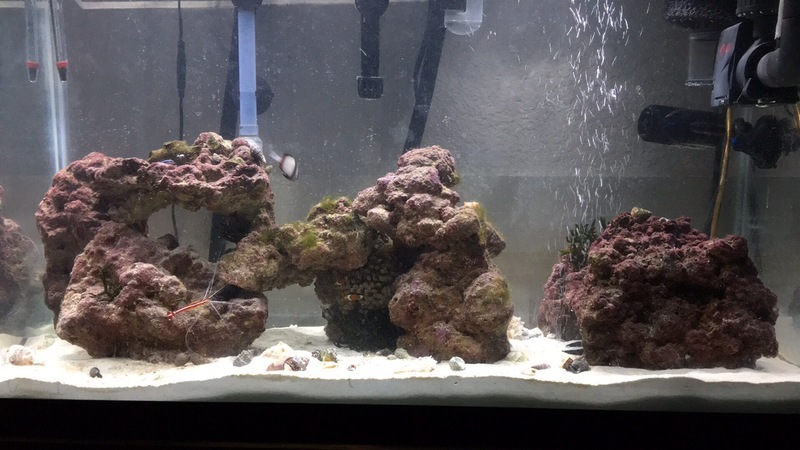 In the 72 hours to follow we did extensive research on marine aquariums and also made sure we understood the basics for reef aquarium’s so that in the future might have the opportunity to convert the tank into a reef. This was undoubtedly the most impulsive decision I’ve ever made, but I have no regrets either. This hobby has been a fulfilling way to pass time, bond, and keep me out from in front of the computer screen. Finances – depending on what you’re looking to get out of this hobby will depend heavily on how much you have to spend. 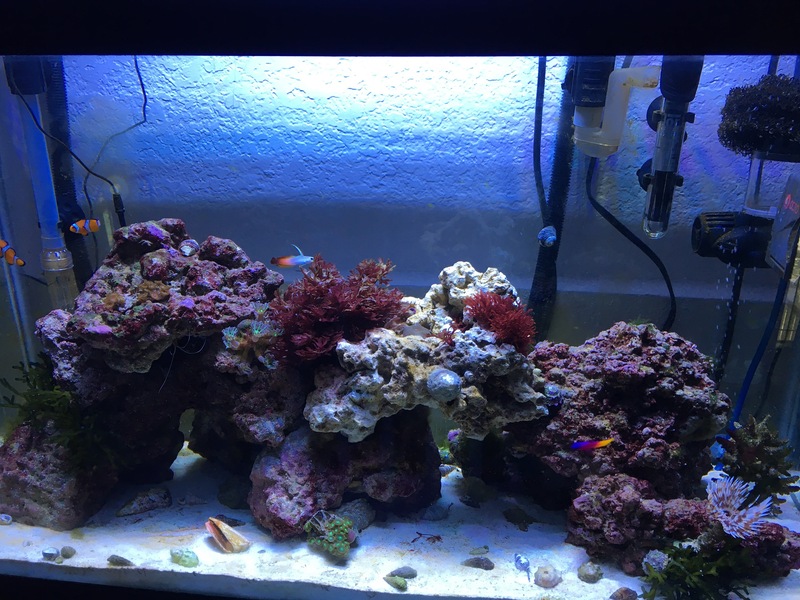 Unless you obtain cheap and functional equipment from another hobbyist or from an excellent deal on craigslist, marine aquariums are NOT cheap. 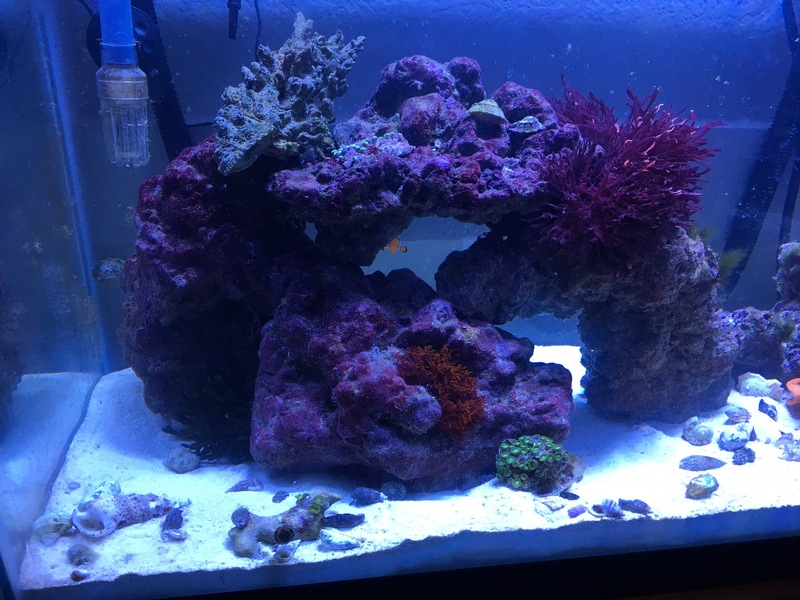 We spent roughly $600 for basic startup equipment and had to upgrade the filter, add a protein skimmer, and buy a reef quality LED light in the weeks to follow. In total I estimate that we’ve spent probably upwards of 2K on hardware and livestock over the course of 6 months. Placement – make sure you have a good place to put the tank with easy access for regular water changes and cleanings. Expect a mess when you’re first starting out. Our skimmer overflowed several times during the break in period. You also want to make sure that whatever you place the tank on is sturdy enough to handle the weight of your tank. 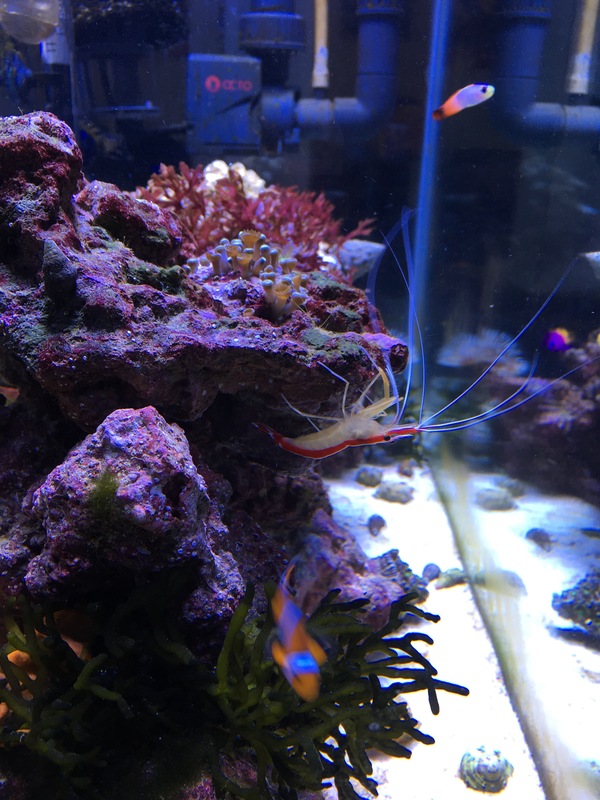 Maintenance – marine aquariums require regular maintenance, including: weekly or biweekly water changes, cleaning the glass and equipment, chemical testing to monitor your water quality, and feedings. Water changes are crucial to keeping live and happy fish. Considerations – marine aquariums are more expensive, time consuming, and limiting compared to freshwater aquariums. Chemical levels play a huge role in what you can stock your tank with. 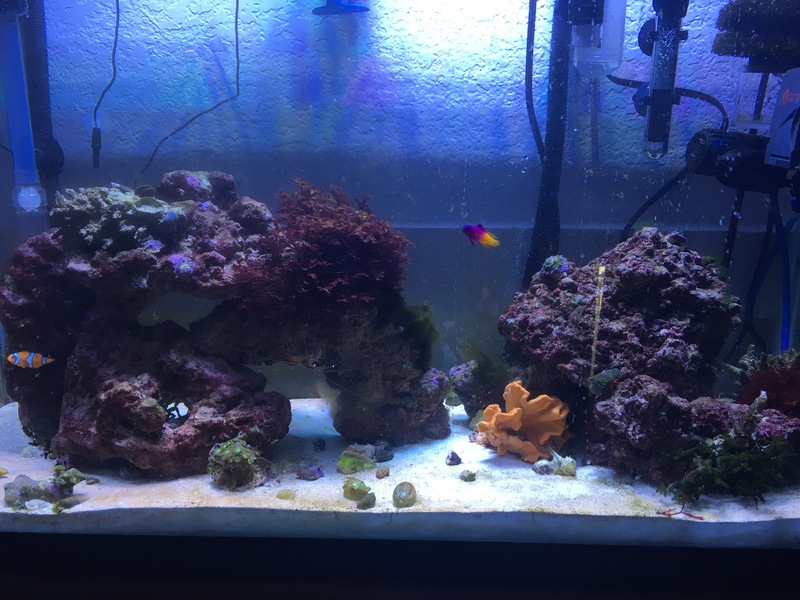 Fish only, with live rock tanks are easier to maintain than reef tanks. 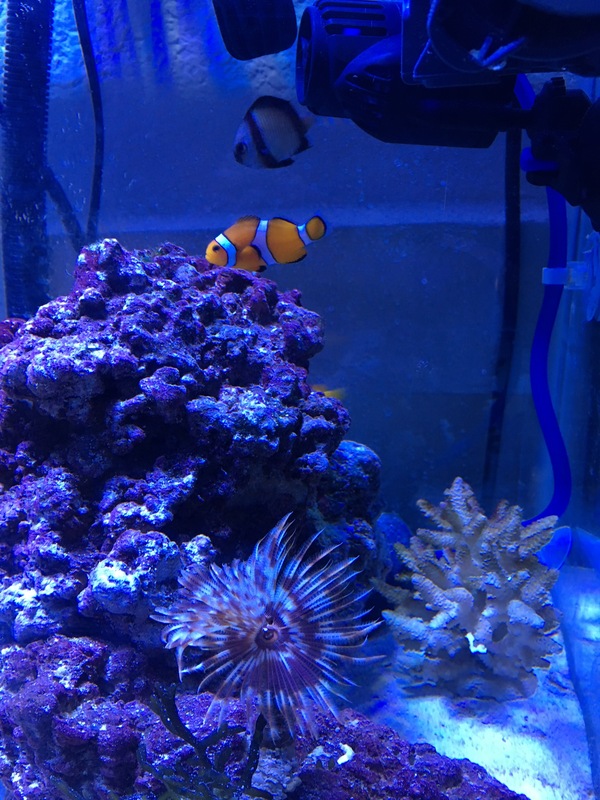 Reef tanks require strict chemical balance to keep corals and anemones alive. Additionally, some of the fish you may like may not be compatible with other species. Checking species compatibility is by far the easiest part as there are definitive resources that can help you identify aggressive species. 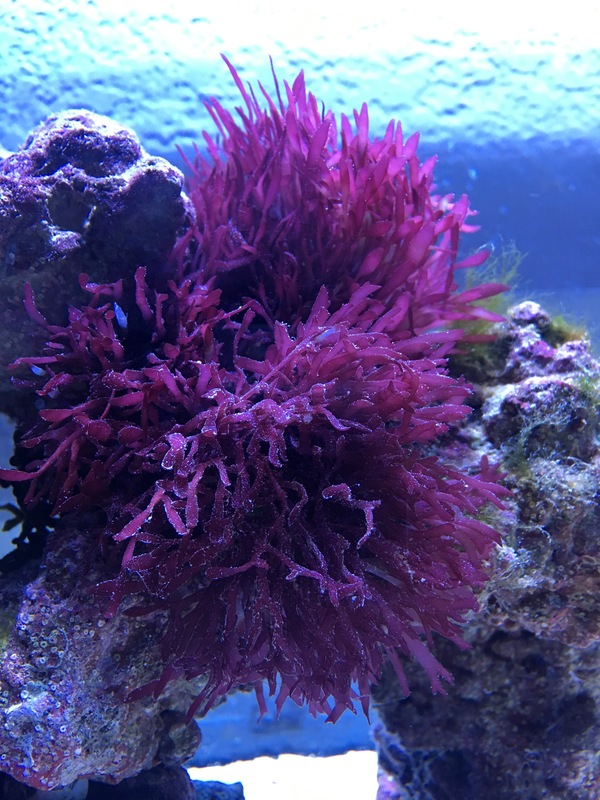 Need vs. Want – what you need in a marine aquarium might not be something you want. Saltwater ecosystems are much more than water, sand, rock, and fish. You also need a clean up crew. Clean up crews consist of crabs and snails. Some crab species are incompatible with reef tanks. 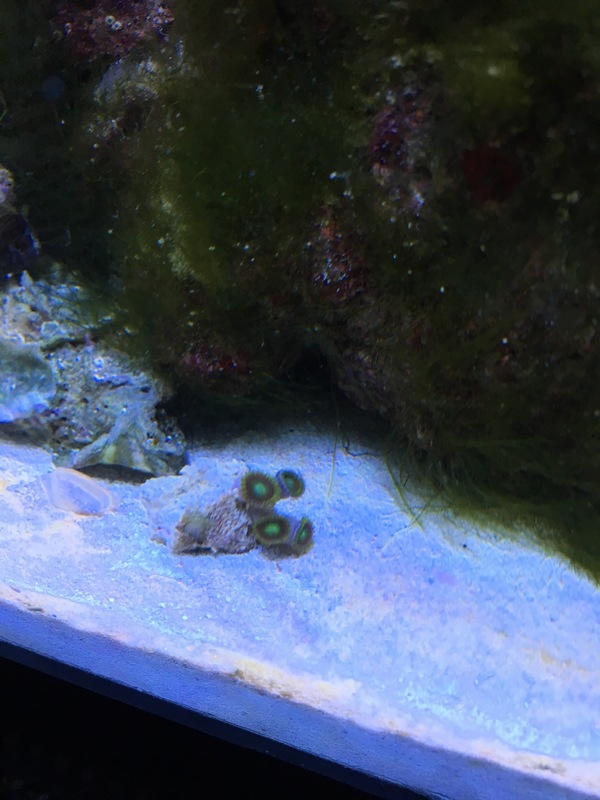 Some snails will eat your macro algaes that you want to keep. You may also deal with worms that come from purchased live rock. Many worms aren’t bad and are quite common, but there are hitchhiker species you may not want in your tank and some that you definitely need to get rid of before they cause harm to your livestock. We’ve also obtained a few hitchhiker species along the way, including: asterina starfish, bristleworms (SO many bristleworms), and two clams that came with live rock and zoantha coral purchases. Patience – aquariums take time. You can’t expect to stock your tank day one. The progress starts slow. 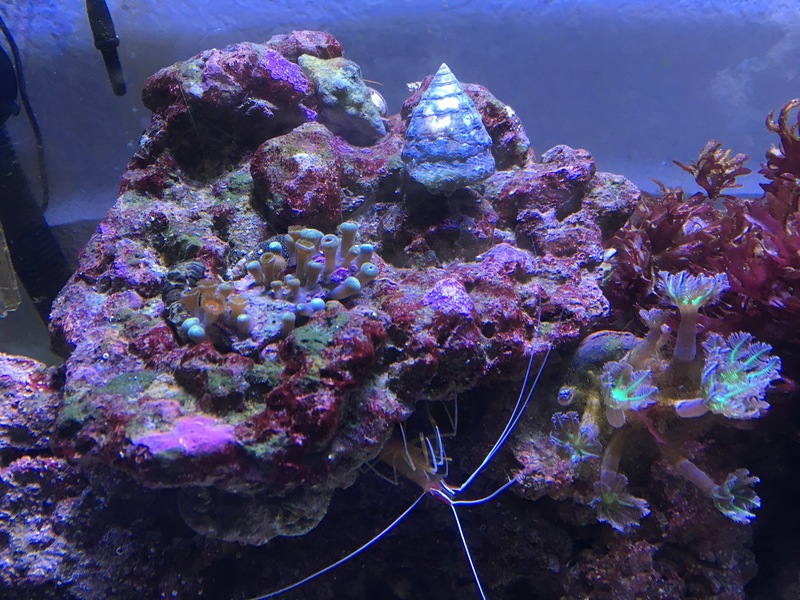 Tank and necessary hardware (that includes a proper filter and light; skimmers are optional and not necessary to start a tank; although, I highly recommend one because they help keep your tank clean) come first. Then you can add rock, sand, and water. Be mindful that live rock contains bacterial and growth already and will require you to have some water prepared. 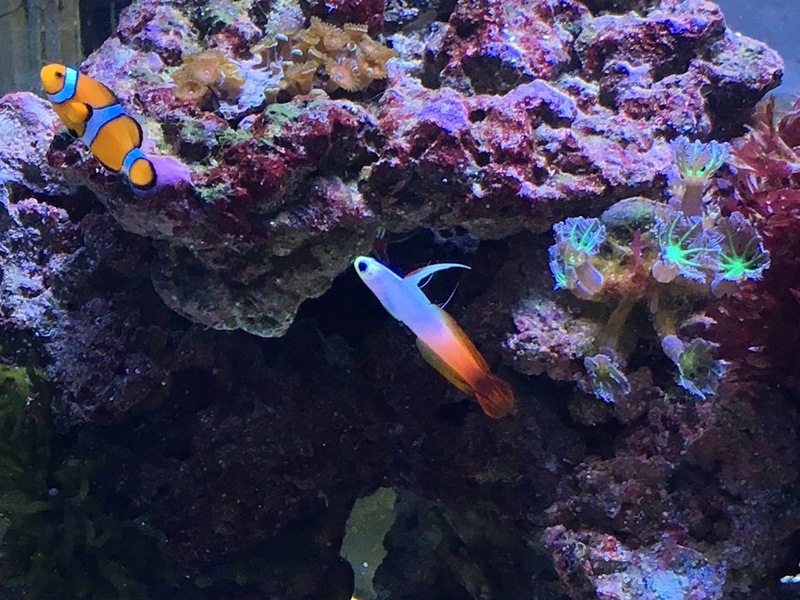 Saltwater tanks require certain water parameters for certain species; the most basic of these is specific gravity which indicates the amount of salt in your water. Saltwater tanks should be between 0.023 and 0.026 roughly. 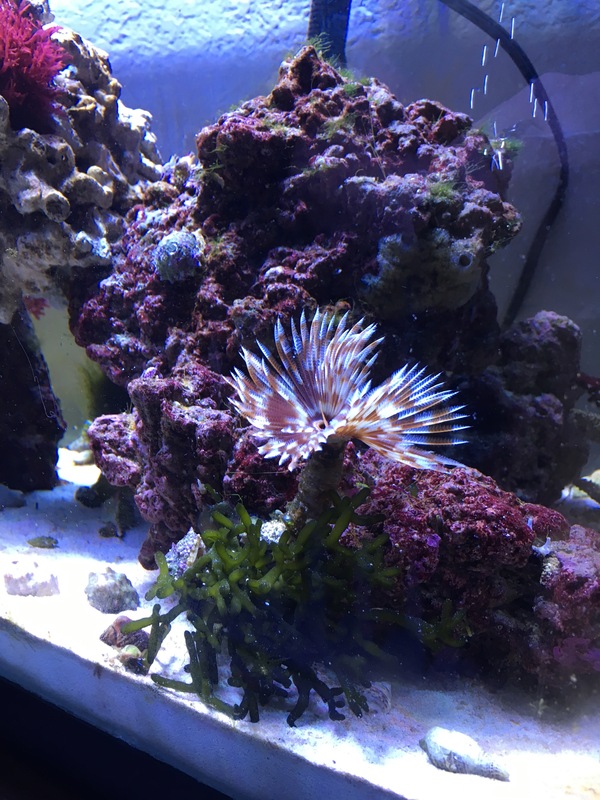 Our tank is usually on the high end of that to accommodate the corals. After you’ve put in the rock, sand, and water you have to wait until your tank has cycled. This is a process where the chemical levels are unstable and can take a considerable amount of time- UNLESS you have great contacts and information like we did. 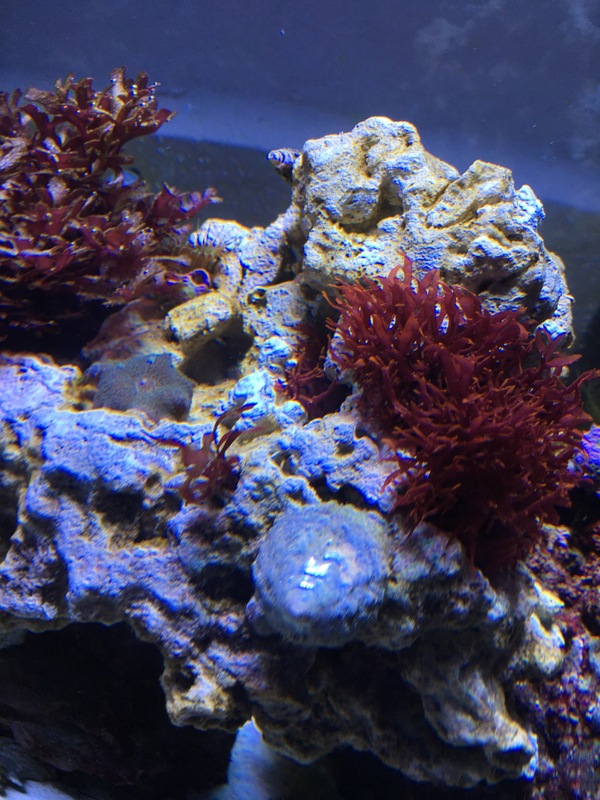 There’s a bottle of bacteria that you can buy at Petco or your local fish aquarium vendor that will help the tank cycle much more quickly. We live in the Austin area, so we travel to Aqua-Dome for our fish supply needs. Instead of waiting months to add fish, we were able to add our first fish within the first two weeks after adding the bacteria. Be mindful that we also tested our water daily for several months to make sure everything was safe. I would also advise starting with a “test fish” so to speak, don’t buy a $180 pair of clownfish for your brand new tank because if things do go wrong, and they certainly can, you’ll lose a lot of money very quickly. There’s a lot of details that aren’t listed here and a lot of information that would be useful for new hobbyists to know. 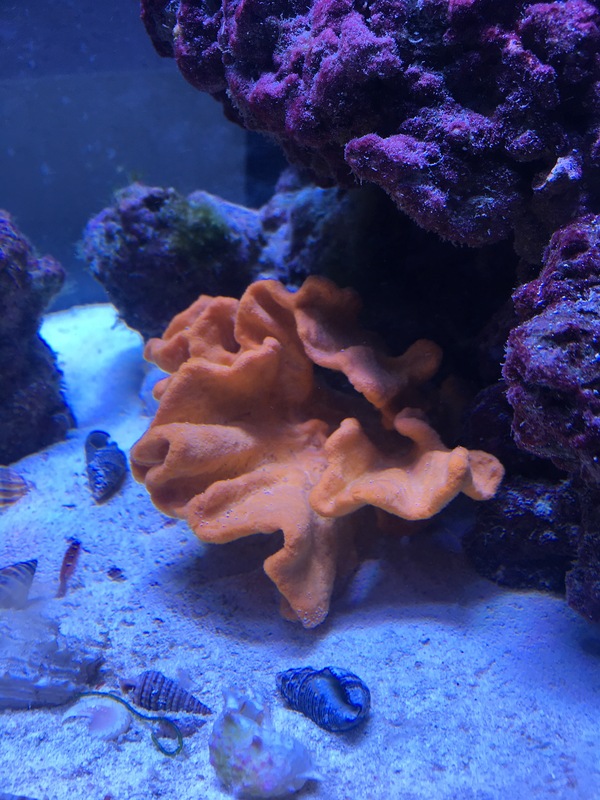 I plan to go into more detail on future posts concerning the various obstacles we’ve faced in the hobby so far, such as: the do’s and dont’s, selecting equipment, stocking, reef requirements, losing your livestock, water changes, and much more. The picture below is from early on, but at least several months into the hobby. The next few pictures are more recent and following our equipment upgrade in order to provide proper lighting. 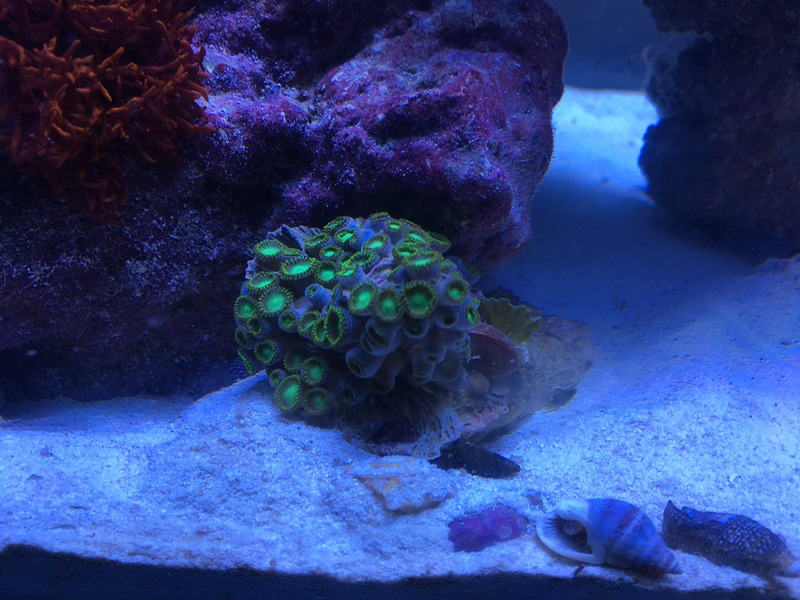 We also have a new heater, a fully stocked tank, macro algae’s, a sponge, and coral frags. 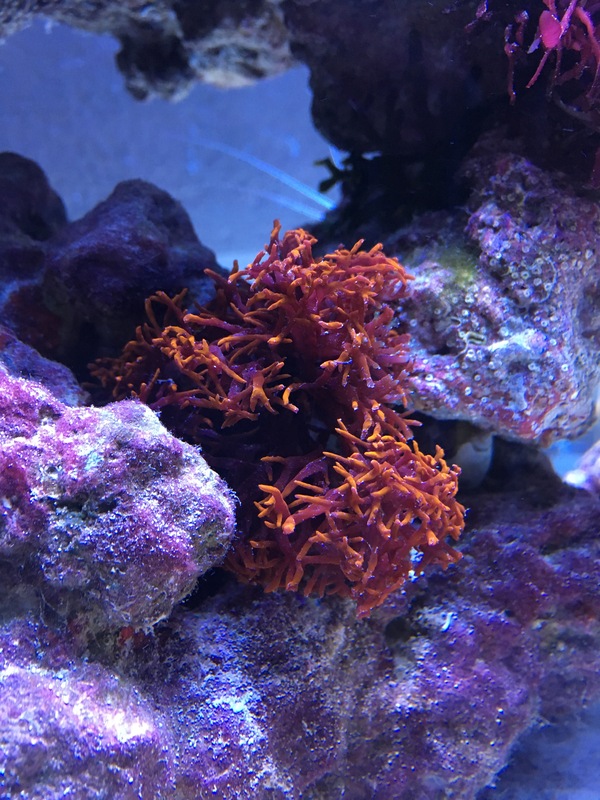 The last few images are most recent and contain photos of new livestock, new rock, and more corals! Our hardware: 29 Gallon tank, Fluval Filter, Octo Reef Protein Skimmer, a cheap digital thermometer, and a Hydor water heater- all suited for the specific sized tank we have set up. Our livestock: two clownfish, one royal gramma basslet, one firefish, one cleaner shrimp, one feather duster worm, one neon goby, one sponge, one Pom Pom Xenia, four zoanthid coral frags, several dozen snails of various species, eight or ten blue legged hermits, one halloween hermit crab, and one scarlet hermit crab. 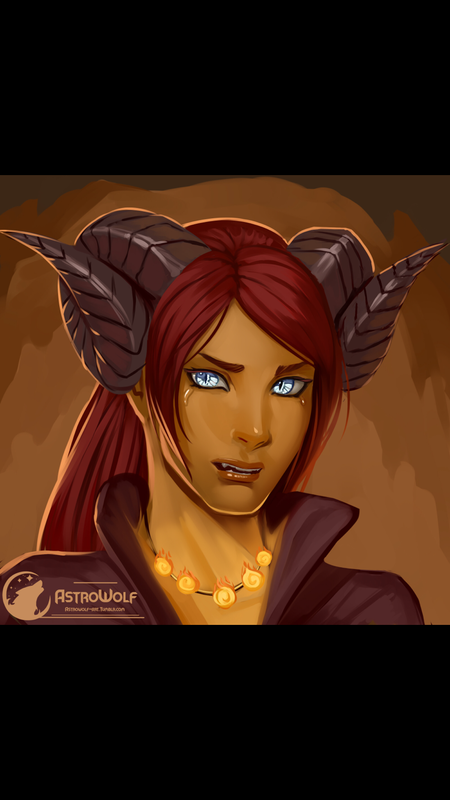 If you have any questions, feel free to leave a comment and we can try to address that in a later post. Are you surprised to see a post around here? Me too. I was so excited about this I needed to share across all of my social media platforms! If the last thing I do is love on you, I think I’ll be okay. Let the rivers of our past continue to flow forward, spilling into the moments of tomorrow as reminders and fond memories. 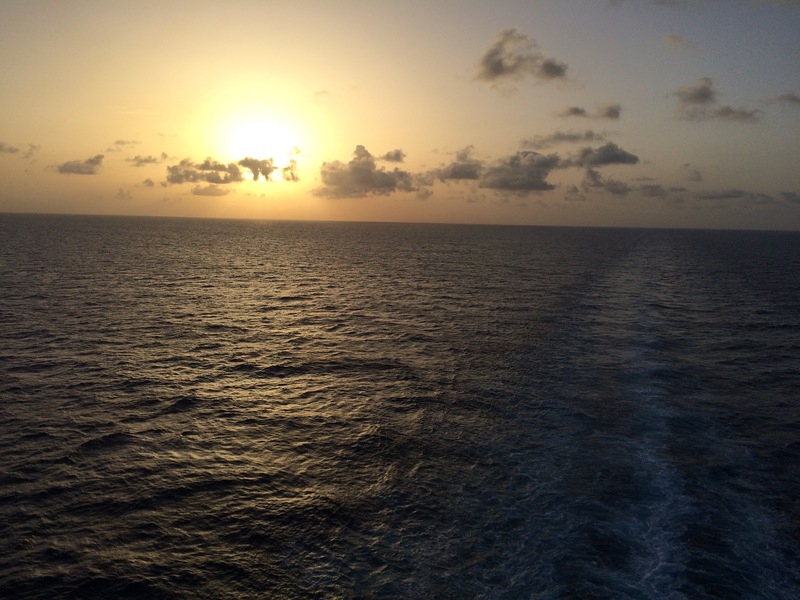 Swim in the pools of present day to enjoy all we have, and have hope that today is not the last day we swim together. May we drink from the waters of the future and taste serenity and happiness. I’m working on some quick revisions, adding tags, re-categorizing my posts, formatting, and finally adding my name to some of my poetry, prose, and misc writings to show authorship. I’m hoping to have that finished up tonight. I want to separate the poetry and prose under one category, short stories under another, and journal or personal entries separately. It’s unfair to ask, and perhaps selfish to dream that you might stay with me, but my heart demands that I do. So I did. I asked you for forever and you said the sweetest thing. I can give you time, you said and promised nothing more. I smiled despite myself, wishing away my ridiculous request. It struck me then just how down to earth you really are, completely aware of life and averse to false promises. You offered me time and I realized that’s all I really need. Your honesty is blunt, but filling. It is sincere and comforting. I am ever thankful for that, I hope you understand. In the past I have struggled to show what’s inside, but you’ve pulled it out of me like colorful ribbons from a hat. So please pardon my selfishness because 1500 miles is a difficult place to see and I know full well that the future is a mystery. I could ask for forever all day, wishing for a simple yes, but you made me realize that false pretenses have no place here. I have come to understand that I have what I need, and I’ve found my place to be. My only hope is that it lasts, maybe not forever, just long enough to know you better. Trace black lines across the dune. All that’s left is dripping sand. In recent months I’ve found myself struggling to find the peace of mind for sleep because thoughts of you run rampant across my consciousness. It’s difficult to cope with you being so very far away. There are 1500 miles of plains, desert, grassland, and mountains separating me from you. I want nothing more than to hold you right now, to feel your warmth. I miss the feel of my hand in yours and those moments when you’d wrap your arms around me and pull me close. I remember it all so vividly: your taste, your smell, your smile, your touch. Instead of sleep my mind has you on replay and there is no stop button.